Welcome to our first of the Power BI Tips series. 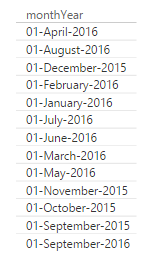 “Instead of the default alphabetical sorting, how do I sort the months in my charts by ‘natural’ month order?”. So how do we get this? To achieve this, we need a column that contains month numbers, e.g. 1 – 12. Then, you simply sort the ‘MonthName’ column by the ‘MonthNumber’ column, and this will resolve our problem. 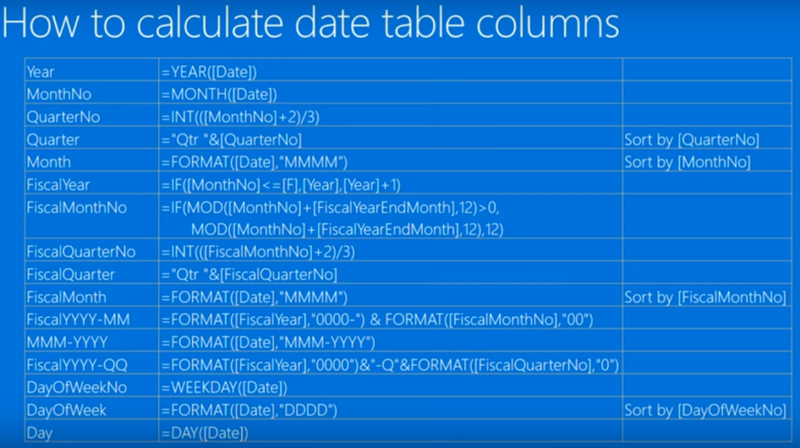 Steps as per above illustrations: Fire up Power BI Desktop > edit query > Select your date table > select the date column > Add Column tab > Date button > Month > Month (again) > Select the Home tab > Closed and Apply. What if I don’t already have a date table in my model? Look out for our next Power BI Tip and reach out if you need any further help to bring your data to life! I want to sort month name in Power BI but I directly connect to cube (without loading data into Power BI). Now how can I sort my Month Name column? I need to sort by month as you explained in the article I got it to work. My problem is when the year changes. That is, my dates start from 1st June 2016 and now the current data date is Feb 2017. So when the data is displayed in a bar chart it goes as Jan, June, July, Aug, Sep, Oct, Nov, Dec.
What I need is to display as 2016 month first and the 2017- meaning Jun, Jul, Aug, Sep, Oct, Nov, Dec, Jan, Feb.
Ps. I got it working by having a conditional column and assigning a month sort order by checking the month and assigning a sort order value. e.g. Jun=1, jul=2,… Feb= 9. But I wanted to know how this can be automated. Unfortunately, I don’t think it can be achieved using DAX, but can be done in M using parameters. I will look towards writing a follow up blog post on how this can be achieved. Hi Johann – I’m pulling a date/time field from SharePoint that is the result of a calculation called Week Ending. This comes into Power BI as a text field. When I use this in a slicer, I get check boxes next to each week, but the dates are sorted by text. If I transform the text to date, I get that slider bar and the earliest and latest date. How can I list the Week Ending dates in descending order with check boxes? 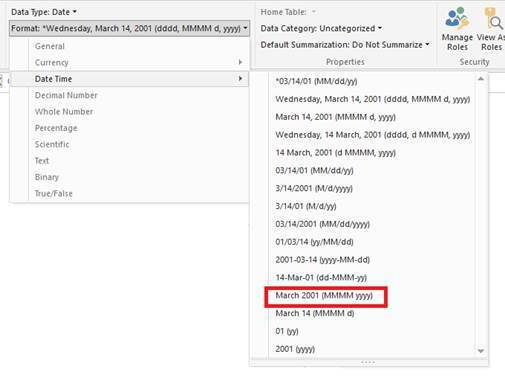 Keep the data type as date. Ensure that the slicer header is turned on. In the right-hand corner of the slicer, just under the ellipsis (3 dots), next to the eraser icon, there is a drop-down list, click on this and select ‘List’.